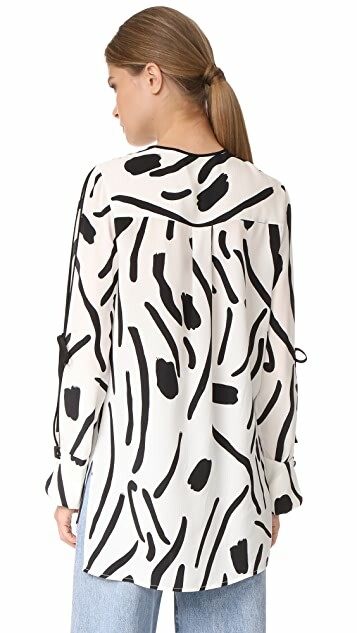 Painterly dabs and brushstrokes create a bold design on this silk DVF blouse. 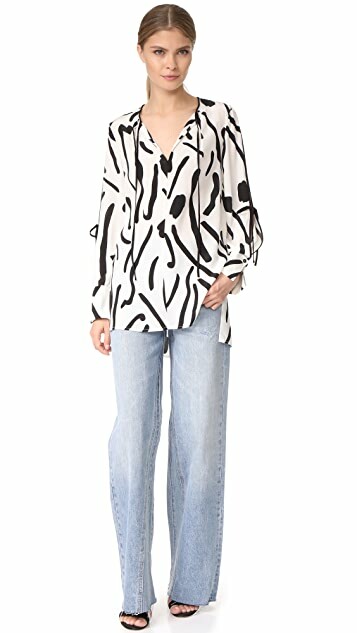 Tie closures secure the keyhole neckline and the open long sleeves. Button cuffs. 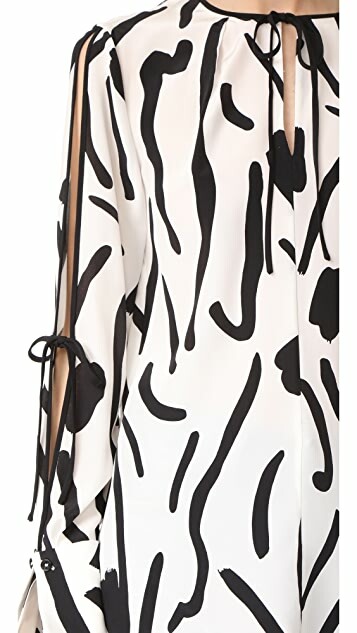 Side slits relax the hem.